It's amazing how creative people can be! While the tiny home trend is on the rise, just as many single-family homeowners (and apartment dwellers) are taking steps to get even more space out of their cramped quarters. 1. Ceiling storage, seen on Architectural Design. This is the perfect solution for book-lovers. 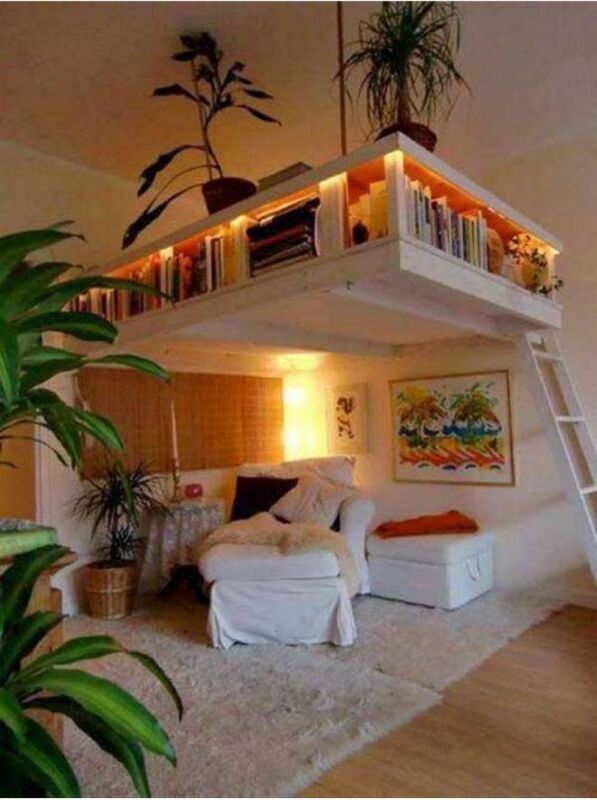 You get a cozy reading nook and storage that doesn't take up any space. The loft-style book case takes up what would likely just be empty air and offers a covered area for a comfortable quiet zone. We love how they added lights to the shelf to make it easier to find what you need. 2. Knee wall storage by This Old House. This is sheer genius! Why waste precious floor space with something as innocuous as a dresser! 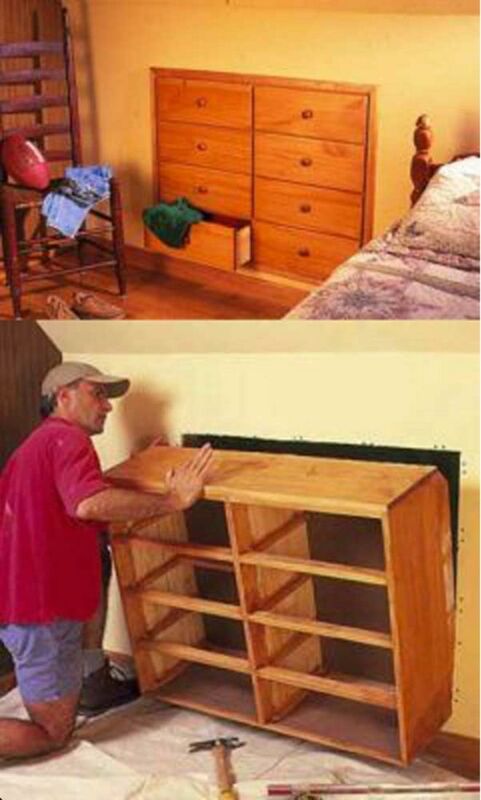 To make this cool storage idea work, you'll need to install the dresser into a knee wall (short interior walls beneath the rafters). Not all homes have these walls, but if yours do, you're in luck. This project provides 8 drawers of storage without taking up room on the floor. It's perfect for a kid's room or an office. 3. 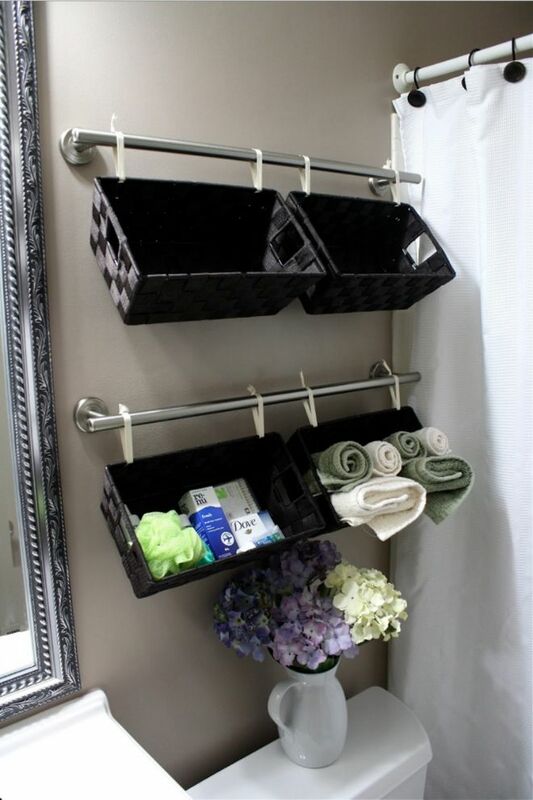 Basket storage by SimplyDIY2. Head into your bathroom and take a gander at the wall behind your toilet. If all you have is a wall decoration or nothing at all, you are wasting valuable storage space. This particular design is nice because the towel bars used to hold the baskets offer a modern-industrial feel to the bathroom. Decorative and functional? Yes please. 4. Toilet cabinet, seen on The Smart Local. 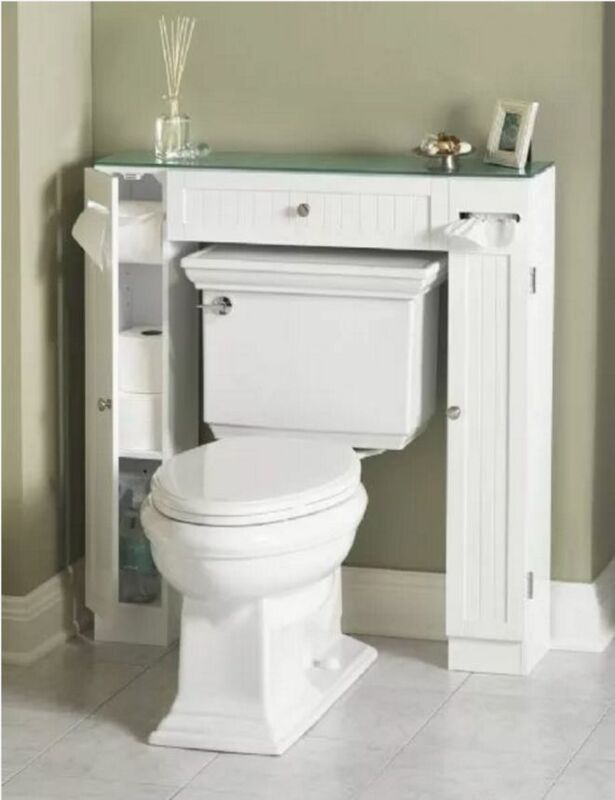 Believe it or not, that space around your toilet can put to good use. This clever over-the-bowl storage solution occupies space you really can't use for anything else. The small cabinets are perfect for storing an extra roll or two of toilet paper, the plunger and some cleaner. Plus, the closed doors let you hide away the tools so your bathroom looks cleaner. 5. Countertop hiding a washing machine, seen on Cote Maison. 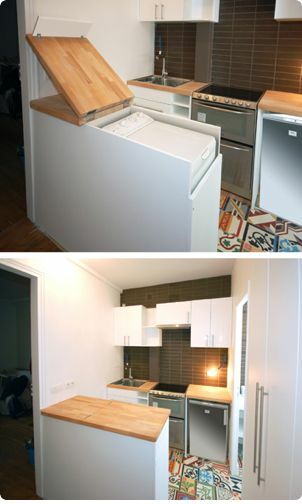 If you're really pressed for space, hiding your washing machine under the kitchen counter is pretty genius. This designer went so far as to encase the entire washer inside the counter, so guests won't even know it's there when it's covered. Lift the counter space up to wash a load, lower it back down for extra cooking space! 6. Combination of bedroom and study loft, by PBTeen. Loft beds are an excellent option when you have limited floor space, because the bed occupies otherwise empty air. Take it up a notch by adding a desk and book shelves underneath the bed for a fun place to study. Get even more storage by using bookshelves to help hold the bed up. This is the perfect solution for the busy high school student. 7. 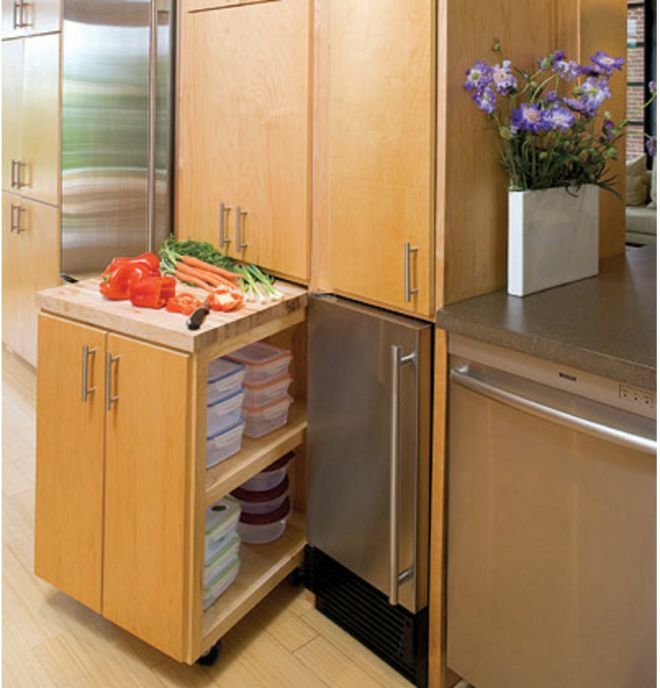 Mobile kitchen island, seen on MyHomeIdeas. The mobile kitchen island is a good compromise for someone that wants extra counter space, but doesn't want to sacrifice and open kitchen. The portable unit can slide under counters or tuck into the corner. As an added bonus, try to find a unit that has storage underneath. 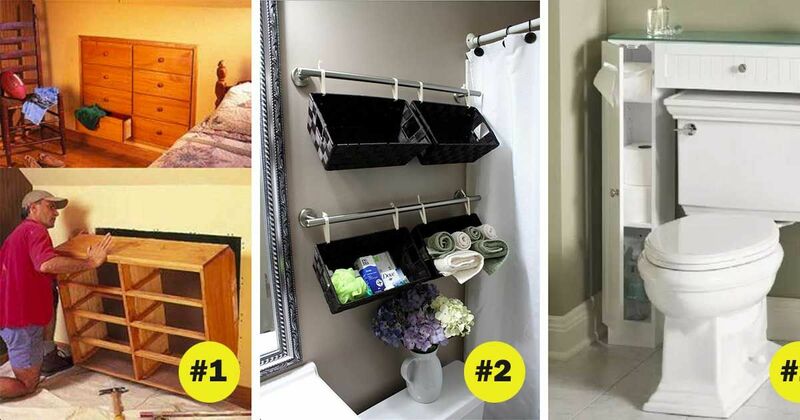 Which storage idea is your favorite? Share your thoughts in the comments below and don't forget to share these ideas with your friends on Facebook.